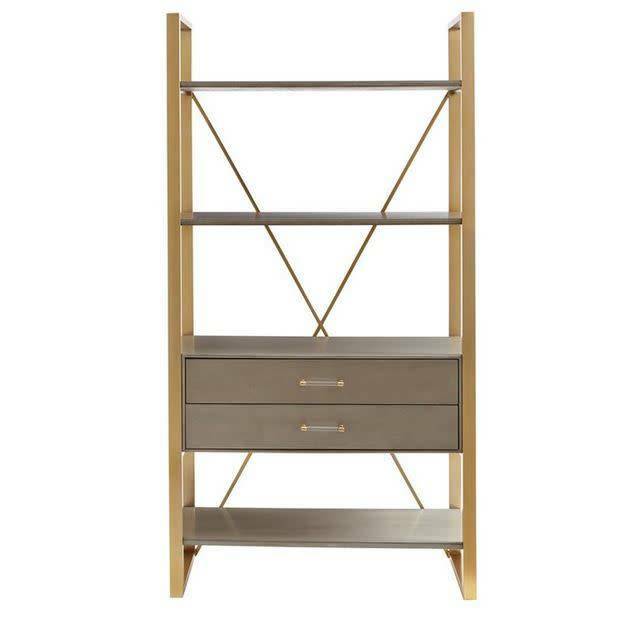 The Harwell Bookcase is made sturdy with an x-back supported metal framework in our warm Binnacle brass finish. 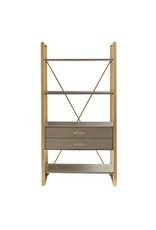 Four shelves float into service as rugged display areas for books and collectibles. Two drawers operate on smooth running metal side guides.